Shawn was blessed with the amazing opportunity to visit the BCEDA Conference a few weeks ago and learnt a lot about economic development and the benefits of govtech. Being in the Canadian govtech space, we closely work with municipalities in every province. Therefore, attending conferences like BC economic summit is very important for us, where we get to reconnect with our most engaged platform users and understand how they use our data tools. We also use these conferences to learn about other municipalities and get a pulse of changes in our industry. Townfolio met with Jamie from The District of Lake Country. We all love hearing success stories, and economic developers are no different. A number of sessions revolved around hearing first-hand accounts of how certain decisions, tactics, and policies resulted in wins for their communities. Kate and the economic development team at Squamish created Squamish’s Investors Guide. The guide is a resource for investors in different industries, as it showcases opportunities in the city and additional online resources available to the public. Most importantly, it shares the city’s vision for growth. Keenan went over the success of Prince George, BC being granted a Foreign Trade Zone (FTZ) status. Being one of the few Foreign Trade Zones in Canada, Prince George will be better equipped to market the community and make it more accessible for foreign investors. Major projects like these are monumental in kickstarting economic growth for a community. They also provide the city with a vast amount of knowledge and expertise as the program matures. These are just two examples of economic development offices adopting new and innovative approaches to reach success. Townfolio’s economic development software can be another tool in your tool kit to give you a competitive edge. There are other cities in BC aside from Vancouver. However, this fact is lost on many newcomers moving to the province. Many smaller centers have a tough time attracting immigrants to their communities, which is why the British Columbia Government is rolling out the BC Provincial Nominee Program (BC PNP) and a new Regional Pilot under its Entrepreneur Immigration Stream. These programs will be implemented in collaboration with communities to attract foreign entrepreneurs that will bring business outside of major population centers. The topic of immigration will grow in importance for all economic developers. From filling in labour gaps, recruiting skilled talent, caring for an ageing population and attracting entrepreneurs. These issues will need to be addressed by communities across BC, and ultimately Canada. These are just a couple of reasons why economic developers need to understand where they fall short. Townfolio has profiles on every community in Canada. Our data platform and economic development software can help any community understand how they are perceived outside their cities or towns. With BC having the largest population of Indigenous peoples in Western Canada, I was pleased to see a focus on Indigenous topics. Sessions titled included “Stronger Together: Building successful Indigenous & Local Government Partnerships” and “Opportunity & Growth with Co-Operatives in Local and Indigenous Communities“. These sessions focused on how local indigenous governments can work together to achieve shared and mutual success. The image below is a guideline provided by First Nation Municipal Community Economic Development Initiative (CEDI) and was utilized by the city of Vernon and Okanagan Indian Band. Through the process laid out below, both communities were able to re-establish a connection, come up with a shared vision and work together towards common goals. We at Townfolio feel these are powerful success stories that should be shared across Canada. The relationships and success stories happening in BC could be replicated in other provinces, making Canada a country where indigenous and local communities work together towards prosperity. There was a real sense of community at the BCEDA Conference–an understanding that everyone (BC Communities, Organizations, non-profits, government agencies) will be instrumental in moving the industry to its next phase of growth. Many of us share similar problems and issues. We can all learn from each other through our stories and experiences. Just like elsewhere, the economic development space is rapidly changing. It is up to the committed economic developers to learn and adopt new approaches to keep up with the times. Therefore, it is imperative that they are equiped with the right tools to accomplish their city’s goals. 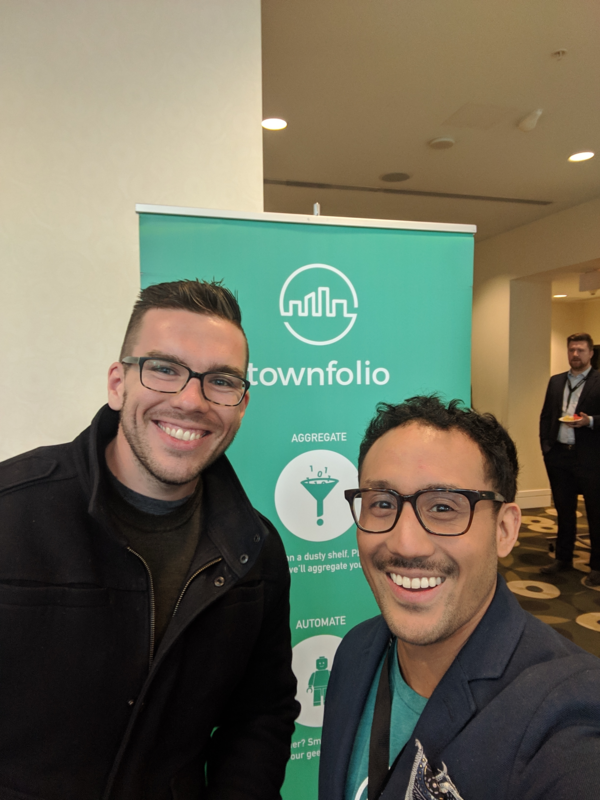 Townfolio has worked with hundreds of economic developers across North America and we have a built a tool that will elevate your current approaches and practices. Thank you to all the BCEDA team for hosting such a wonderful conference.